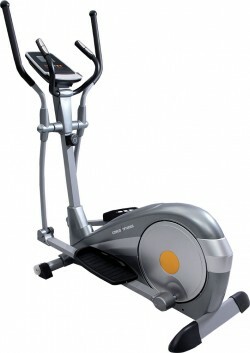 Compact Design Elliptical Trainer with 8 Kgs. heavy Flywheel and 8 level magnetic Resistance for easy and smooth operation. Large Non-Skid Foot Pedal, Big LCD Display. 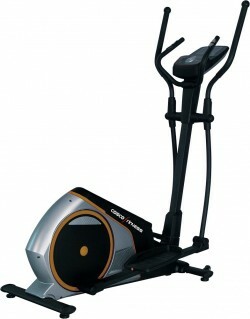 Double Direction, 8 KGs Flywheel, Belt Driven, Outside Magnetic Resistance System.Large Non Skid Foot Pedal. One Large LCD Display. Big LCD Displays : Time, Speed, Distance, Calorie, Total Distance, Hand Pulse.Fixed Stationary Handle Bar.